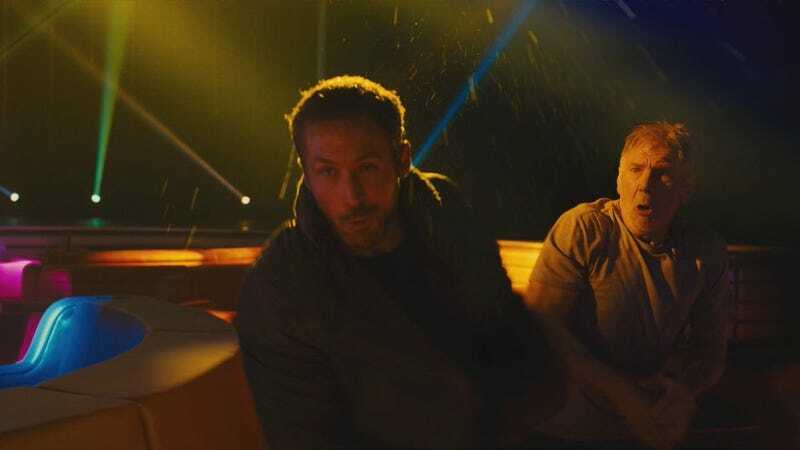 At this point, it seems like everyone’s enjoyed the story of how Harrison Ford accidentally punched Ryan Gosling during an action sequence. Now, because cameras were rolling, we can all look at a still image capturing the frozen awkwardness of the point in time right after contact. The Punch That Might Be a Replicant or Not has been discussed a lot. The discussion flared up yet again on an episode of The Graham Norton Show, where the cast of the cyberpunk sequel gathered to discuss the movie. The British talk show showed a still of the fight scene where the punch happened, and the expressions on the actors’ faces are enough to make me believe that this was totally real. Embarrassment. Pain. And... inexplicable bemusement. Blade Runner 2049 is out October 6.